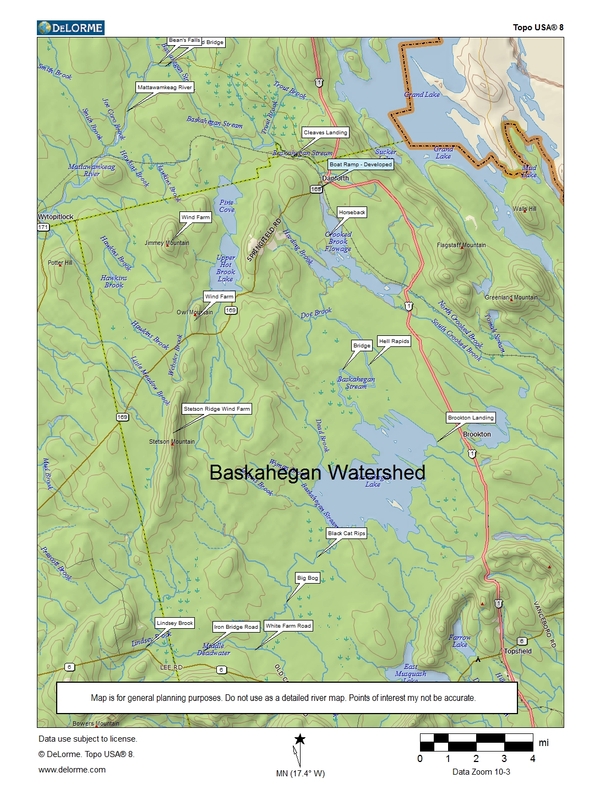 Baskahegan Stream is a less traveled stream near East Grand Lake that features wildlife viewing and moose calling. 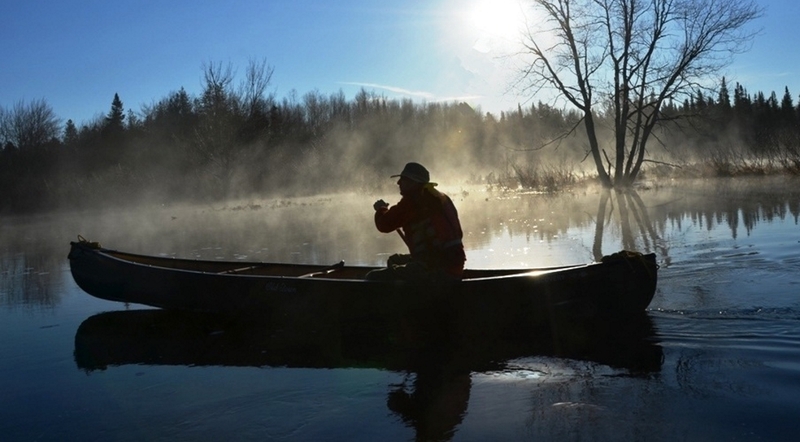 The Baskahegan Stream in northern Washington County is a lesser known canoe trip, offering excellent opportunities for small mouth bass fishing, moose watching and viewing beaver, otter, eagles, and waterfowl. Mostly a flat water trip, this remote soft adventure is available from May to mid-June and in the fall when the water level is sufficient. 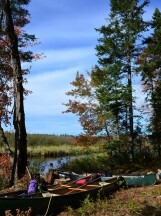 A great 1-4 day canoe trip with several put-in and takeout options. 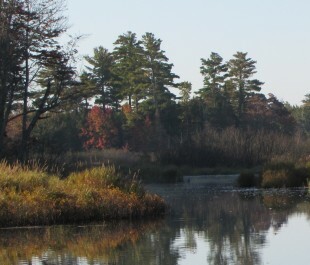 Beginning off route 6 near Topsfield, you’ll paddle 7.75 miles down a remote scenic stream and deadwater on your way to Baskahegan Lake. 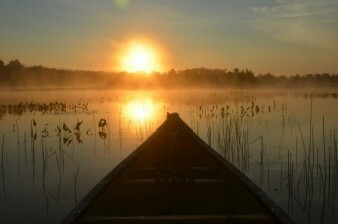 As you enter the lake, keep an eye for eagles on Pine Island. After crossing the Lake, we pass over the remains of an old dam left over from the days when logs were floated down river to mills and a train depot in Danforth. We continue down the stream (9 miles) with the lower 4 miles offering good moving water. 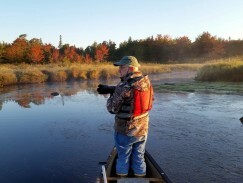 After crossing Crooked Brook Flowage (3.5 miles), we portage around the dam in Danforth and continue downstream for 8 miles with mostly flat water, another great stretch of river for wildlife viewing. 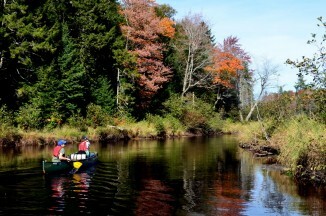 Our takeout location is in Bancroft above the confluence with the Mattawamkeag River. Inquire about half day and full day trips. Half day trips generally run from 8 – Noon, while full day trips run from 8 – 4. 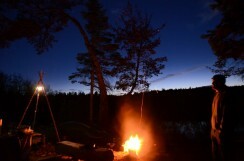 However, arrangements can be made to begin your trip at first light for what can be a breathtaking experience as the sun greets a new day on the Baskahegan. 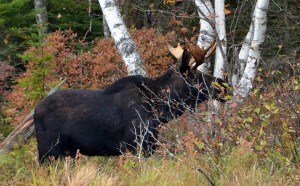 Wildlife tends to be more active during these early hours and this can be a great time to spot moose. 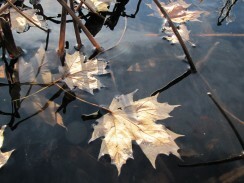 Available May to mid June and in the fall as water levels permit. Teens and kids 10% off when there are at least four in the group (your party or combined parties) paying full price. Add the night prior to your trip by staying in the region’s finest accommodations, the First Settler’s Lodge in Weston, with panoramic views of Mt. Katahdin and East Grand Lakes area. 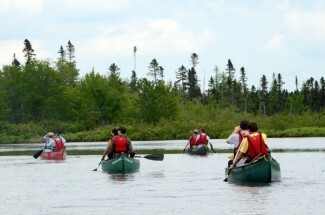 $100.00 per person double occupancy includes supper and breakfast. 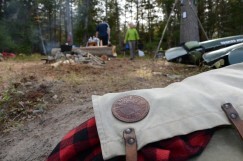 With this option, your guide drops off your waterproof river bags the night prior to the trip so you can pack, then joins you for breakfast the day of your trip. 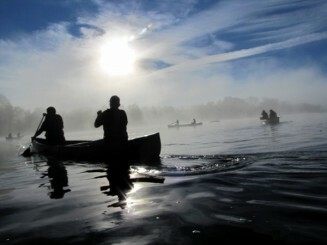 After breakfast, you and your guides will travel together to the put-in location on the river.